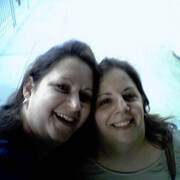 Dina and I met in Atlanta on her layover to a Goo show! I can't belive I will never hear her voice again. Nice picture!!! I am so sorry for your loss.